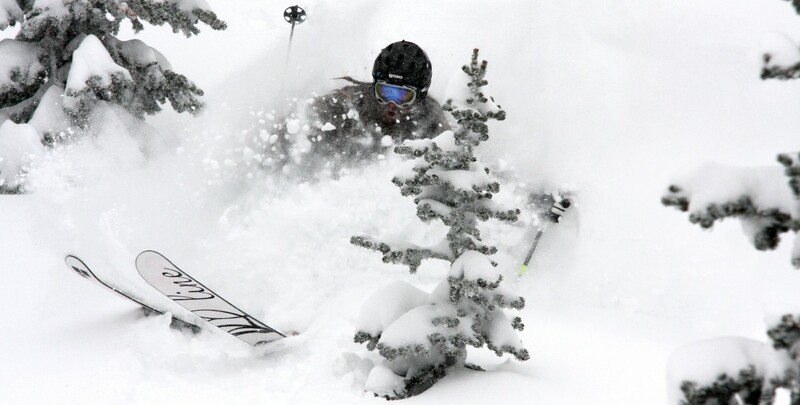 The events portion or powderpoachers.net is here to provide information on all the events in the ski world, from hometown jib jams, to big mountain freeride events. MSP has been known for their amazing films in the past and for the 2012 season it is no different. Once again with one of the top movies for 2012 MSP goes to some remote locations to bring you some incredible footage from all over the globe! I don’t want to give away the amazing lines and tricks that are thrown down in this movie but what i can say is find a Movie Premier near you so that you can enjoy the full experience not to mention all the free swag given out at these events. Saddleback hosted their 2nd Annual Bluegrass Festival on August 12th and 13th and what an amazing time was had by all. When it comes to hospitality Saddleback Mountain located in the beautiful Rangeley, Maine really knows how to make people feel welcome weather it is the middle of summer of the depths of winter. Thank You Saddleback and crew for putting on one of the cleanest and most respectable festivals that I have been to. If you failed to make this event then you better mark your calender now for next year because it is going to be back and it will be a festival that you will not want to miss. It is the most kid friendly music event you will ever find and you couldn’t as for a more amazing back drop to listen and dance to some amazing music from local acts to national acts. Everywhere I went people were having a good time and the large crew dancing in the Ditch seemed to be having an especially good time during Ricky Skaggs! Thanks for bringing such an incredible line up of music to this great state and for sharing your amazing mountain views along with your welcoming spirit. May the spirit of Saddleback, Maine touch all of those that enjoyed the Bluegrass festival and hopefully I will be seeing many of you again when the grass gives way to snow and the leaves give way to the beautiful rhime ice. Mark Robie put on a World Class event and his willingness to take positive critisizm and ideas will just allow this event to grow into the biggest and best Bluegrass festival in the Northeast in the not so distant future. To all of you Saddleback employees that I saw from Jim, Jared, Chris,Kevin, Ian and many others thanks for your dedication to continually put the people first and to allow such a wonderful mountain to be shared. A huge thanks goes to out to the Berry family who with out them the growth of this mountain would not of been possible. Again many thanks and I look forward to an even larger crowd of like minded folks at next years Bluegrass festival! Late February Storm at Saddleback, Maine!! Who doesn’t enjoy a good late Feb storm! Closing up shop and heading to the mountain to go storm chasing. Hopefully over a foot of fresh snow is going to fall up at Saddleback Maine Ski Resort. If you have not had a chance to check out the 40+ Acres of beautifully cut Glades then you are doing yourself a great injustice. These glades are some of the best cut you will find anywhere. The trees have been pole sawed and there is something for everyone to enjoy. There is no getting lost it all comes out to the lift which is even better! If you want to drop some 10 foot drops there are some of those as well!! The hardest part is deciding what to ski on, I think I will bring the EP Pro’s and Line Prophet 115. There will be some skinning to do if the winds come in with the storm and I don’t want to miss the snow!!! Come join us at Saddleback and enjoy some of the best hospitality that you will enjoy at any ski resort!! As some of you may have heard I have been thinking about starting some sort of ski/snowboard club or group to bring the skiers and Snowboarders of the Portland area together. When I moved to Portland, ME I didn’t really know many skiers or snowboarders; most of my friends who ski and ride are actually college friends who come up from Boston a couple times each year. If you drive around the city you will notice that just about every other car has a ski rack, or some sort of ski related sticker. If you attend the ski movie premieres (Warren Miller, Matchstick, TGR) each year you have seen that there are a lot of dedicated, crazy, and passionate skiers and boarders here. So, every year I have searched online for a club or group that I could join; nothing I found really met my needs or interested me. I really wanted to find some sort of club or group that was more informal, didn’t have meetings, didn’t have dues, didn’t cost anything, and just allowed people to meet up, hit the slopes, and enjoy happy hour together. So I figured that no one was going to make this happen for me, so I am officially announcing the launch of the Portland Ski and Snowboard Coalition! Everything is still in the beginning/startup phase right now, but more information will be available soon. We are still kind of defining what this Coalition will be. I am picturing it being more of a social club, or collection of like-minded skiers and snowboarders. I have a bunch of great ideas and hopefully I will get them up and running soon. If you have some ideas or feedback feel free to email me or contact me through facebook. If you have any questions please feel free to ask!! On Friday October 22nd, 2010 www.untracked.com AKA: Al’s Ski Barn along with Saddleback Ski Area, Matchstick Production Films and Helly Hansen present to you the newest MSP Film “The Way I See It” Show time starts at 8PM and doors open at 7PM. This is an all ages show, however if you are under the age of 18 you will need to be accompanied by an adult. The show will be at Port City Music Hall in Portland, ME off 504 Congress St. There will be many prizes to be won just for coming to the show along with our friends at Saddleback Ski Area who will be giving away a free lift ticket good before Christmas to everyone who comes to the show! Not a bad deal, a movie and ticket for $15!! Not to mention your chances of wining gift certs and other swag are excellent! Come join the fun and after the show there may just be more fun activities for everyone! Tickets will be $2 more the day of the show so be sure to buy them early at Al’s Ski Barn and save yourself some money! On Thursday November 12th in Portland, Maine there will be a movie premier for Wild Stallions the movie with lots of prizes just for showing up. Al’s Ski Barn, Line Skis, Saddleback Maine Resort, Geary’s Ale, and Meathead Films will all be represented and will be giving away stickers and many other prizes as well. Come in and watch Meathead Films latest movie and see some of the new skis from Line Skis. Come early and drink late! 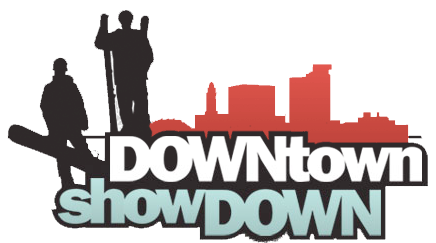 The first ever Downtown Showdown will be taking place this Saturday, Feb 14, at Monument Square in Portland Maine. The event will showcase 16 skiers and 16 riders that make up some of the East Coast’s best talent. Competitors will test their skills on a 3 rail staircase that has been custom built with a two-story in-run. The event is hosted by Sunday River and Sugarloaf with over $5,000 in cash prizes and should turn out to be one of the best freeskiing events on the East Coast this year. So, head on out to Monument Square this Saturday and check out the Downtown Showdown! I’ll be sitting at the Judges table, stop by and say hi! For all of you of age join the masses as we hit the Old Port after the event. We all woke up early, having fallen asleep to the sound of snow plows and the quite lull of falling powder, only to have our dreams of an epic day ripped right out from beneath us by RAIN! If you live in the east you know exactly the day I’m referring to. But lucky for us, Sugarloaf found a way to keep us all stoked on winter, and tossed us yet another Rail Jam! The 2nd annual Jingle Jam kicked off with a 50/50 on the new "Dance Floor" by the one and only Mr. Claus himself and an epic night of jibbing it turned out to be. Check out some shots from the night at http://www.sugarloaf.com/terrainparks/blog.html . Stay tuned for more events and keep your fingers crossed for SNOW!! !